Our new ultrasonic meter is quickly becoming the Industry standard for produced water measurement; accuracy is consistently within 1%, with one model that adheres to the outside of pipe 2” to 24” and no maintenance (no internal parts to clog or wear) . 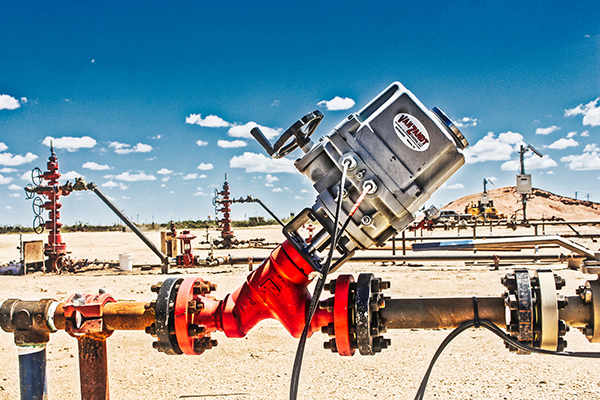 THE INDUSTRY CHOICE for automated valves up to 18 inch diameter – for oil, natural gas, chemical or water applications. Stocking distributor for all the key instrumentation and components your construction or I&E team could need for a valve automation or flow measurement project – ranging from the industry’s safest stainless steel tubing /pipe fitting design to gauges, sensors, transmitters, regulators, tuning forks, instrument valves (gauge, solenoid, needle, etc) all the way to heat trace & industrial batteries.